Set in a prime location of Obihiro, Dormy inn Obihiro puts everything the city has to offer just outside your doorstep. The hotel offers a high standard of service and amenities to suit the individual needs of all travelers. Facilities like restaurant, elevator, car park, smoking area, laundry service are readily available for you to enjoy. Comfortable guestrooms ensure a good night's sleep with some rooms featuring facilities such as television LCD/plasma screen, television, non smoking rooms, satellite/cable TV, air conditioning. Entertain the hotel's recreational facilities, including spa, sauna, massage. 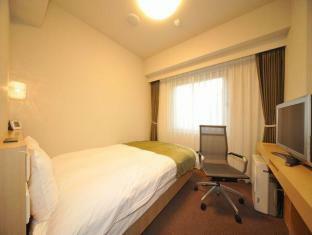 No matter what your reasons are for visiting Obihiro, Dormy inn Obihiro will make you feel instantly at home.